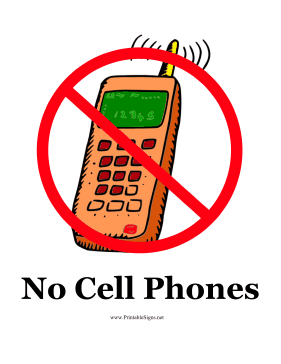 This cell phone in this printable sign indicates to viewers that cell phones are not allowed in a designated area. Phone users should finish their conversation, hang up, and turn off or silence their cellular devices before entering the vicinity. This sign is useful for schools, offices, churches, customer service lines and theaters.